OK, so is this the real HTC M7? It could be. It certainly looks a heck of a lot like the purported render we saw earlier on Sunday. Funny thing is, that render was supposedly a mock-up or not real, yet this picture of a phone that mimics it entirely is now, real. Just making sure I have that straight before we dive into it. If that even straightened any of it out. Sooooo, what do we have? Well, aside from the picture of the back looking mostly questionable (in my opinion) (or it’s just a terrible photo), the front has the same look as the render from earlier – icons all match-up, as does the weird arrangement of hardware navigation keys. As far as new things go, we have two clocks that look like they were pulled straight out of the ugly section of Beautiful Widgets. And are those Windows 8-inspired tiles in Sense 5.0 (pictured below)? We also have blocked out versions of Android, weird resolutions on the screenshots, and all sorts of “Confidential” watermarking, something that HTC does do with their prototypes or test devices. 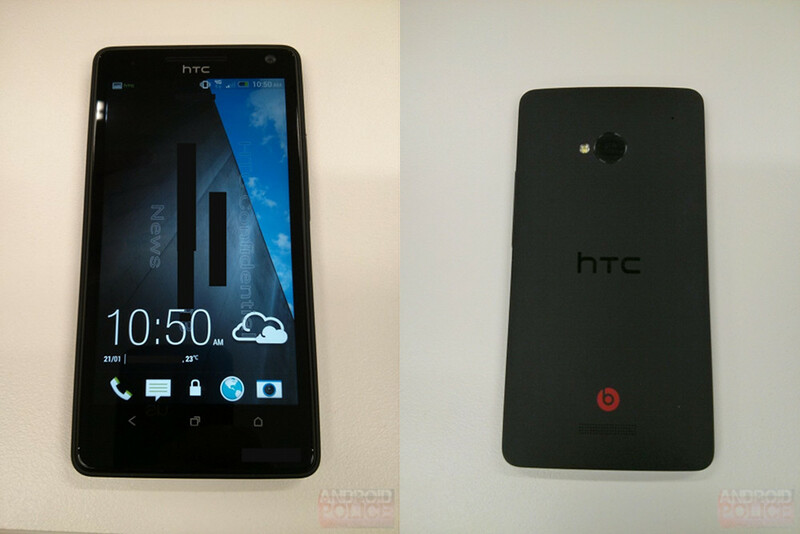 You guys tell me what you think about these last couple of HTC M7 rumors. I sort of doubt that this M7 device is some elaborate hoax. If it is, then bravo again to some internet troll in a basement with too much time on his hands. This could very well be the phone, the only issue I have is – what’s the killer selling feature here? I’m seeing a big screen, new Sense, and a similar look to the DROID DNA. What else am I missing?